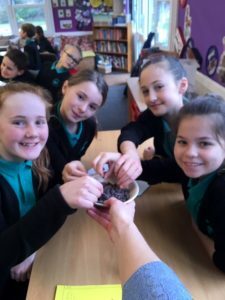 We are having a ball in Year 5, planning and designing our own chocolates to sell for Valentine’s Day. 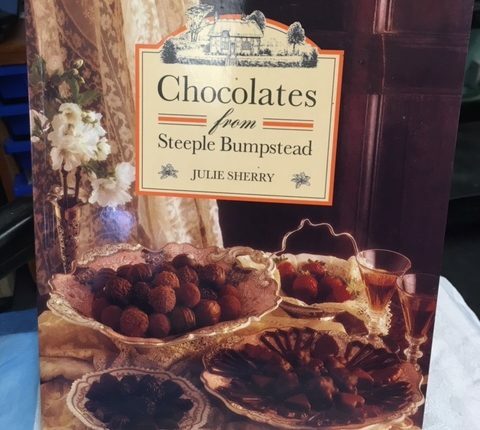 So this week, we were treated to a visit from Julie Haylock-Sherry, who is a chocolatier with 40 years experience in making delicious, beautiful chocolate creations. 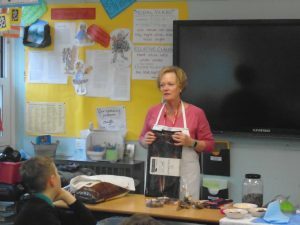 Julie spoke to us about how Cocoa grows and is turned into chocolate; she even brought some in for us to taste! 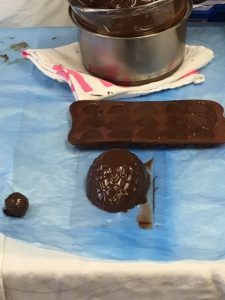 The children learned about chocolate tempering, and picked up some top-tips on how they can mould their own chocolates to sell. 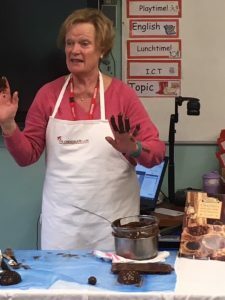 Julie will be joining Mrs Rogers and Mrs Hughes as our expert chocolate judge at the big chocolate sale on Tuesday 12th February – get the date in your diary! 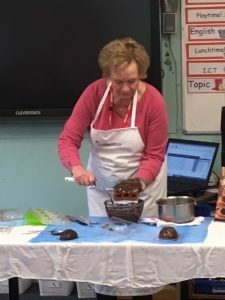 We hope to see lots of you there!